Gelatin silver print. 1926/Printed before 1980. Signed and dated in pencil on the verso. During 1978 in New York the English artist Harold Riley approached André Kertész to exhibit a large number of prints in the North of England, at the University of Salford. The festival of photography, Salford 80, was held in the cities of Salford and Manchester. 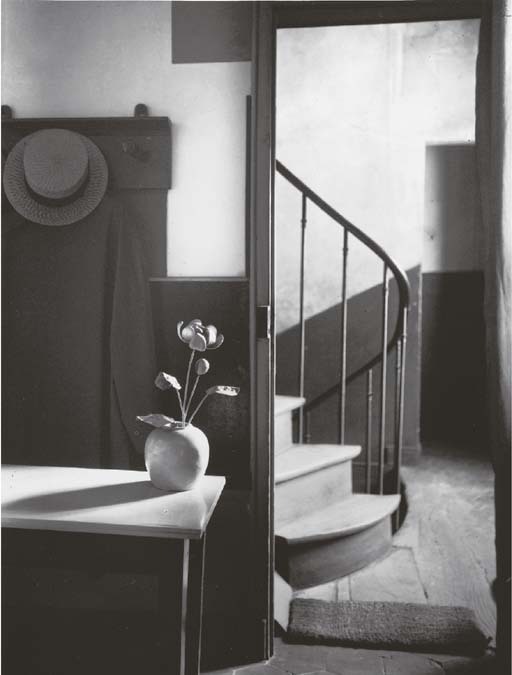 André Kertész supported the idea of a major collection of his work coming to Europe. The prints were selected jointly by Kertész and Riley and included work from every period on a variety of papers which in many cases are now no longer available. See: Harold Riley, André Kertész, The Manchester Collection, p. 7. This publication also includes reproductions of most of the lots offered here.